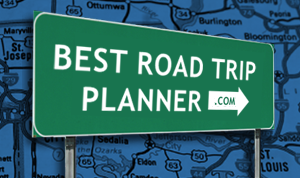 Whether you're planning a road trip to Illinois (IL) to see all the most popular sites and attractions or you want to drive off the beaten path down the back roads to enjoy less visited but equally wonderful destinations, the state's numerous scenic routes and byways will take you there. Illinois scenic drives reveal much of the state's natural beauty, interesting history and worthwhile cultural attractions. The famous places and popular tourist attractions include the Anderson Japanese Gardens, Starved Rock State Park, the Garden of the Gods, Spoon River Valley, the Illinois Railway Museum, Abraham Lincoln Presidential Library and many more. Chicago, known for its architecture and sculpture, is a fascinating city and an attraction in itself. Don't wait to visit "the Land of Lincoln!"